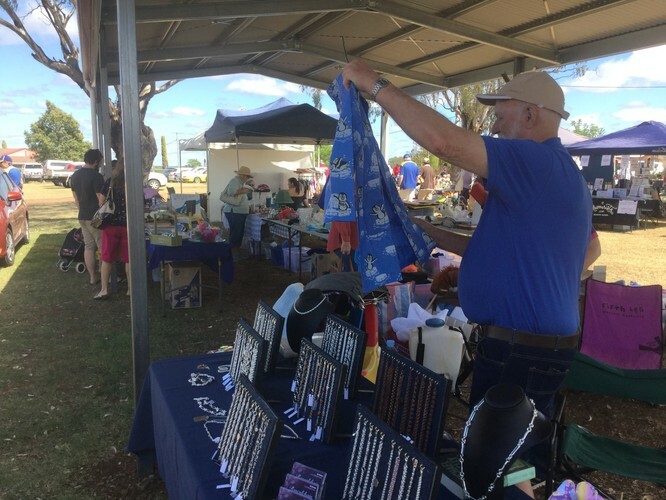 Pittsworth Lions Market is held twice yearly. Local and visiting stall-holders have a wide range of goods, including crafts, clothing, plants, home cooking, preserves, jewellery, honey, and confectionery. The Lions Trash and Treasure stall has something for everyone. Music is provided for entertainment. Lions run a BBQ as well as Morning Tea and soft drinks and coffee are available. Entry is free, there is plenty of parking available; the grounds and toilets are all wheelchair accessible. All money raised by Lions goes back into the community through support of local groups or initiatives or wider Lions Projects such as Medical Research.